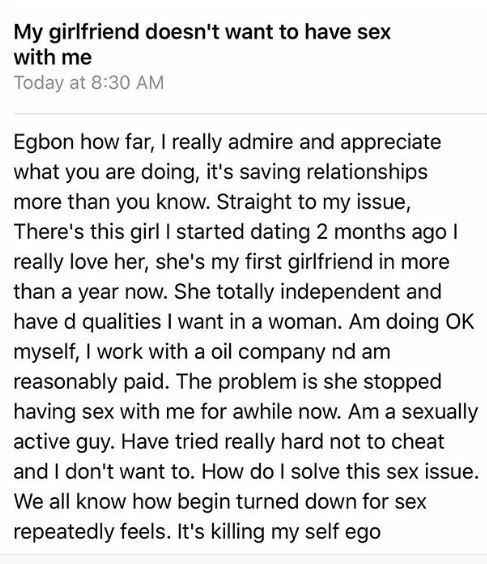 Relationship adviser and online psychologist, Joro Olumofin has shared the story of a 19 year old girl who has slept with about 11 men. She has turned a new leaf and she is hoping to settle down with a serious person. 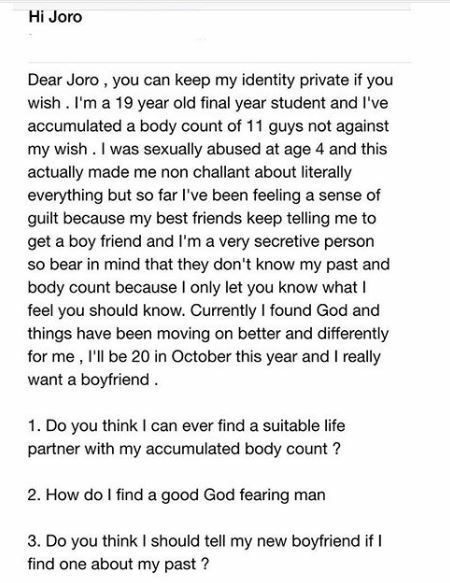 On the other hand, a s*xually-starved man has also raised an alarm on Joro’s Instagram page.